The dramatic memoir of the journalist who was held hostage in a high-security prison in Tehran for eighteen months and whose release--which almost didn't happen--became a part of the Iran nuclear deal. In July 2014, Washington Post Tehran bureau chief Jason Rezaian was arrested by Iranian police, accused of spying for America. The charges were absurd. Rezaian's reporting was a mix of human interest stories and political analysis. He had even served as a guide for Anthony Bourdain's Parts Unknown. Initially, Rezaian thought the whole thing was a terrible misunderstanding, but soon realized that it was much more dire as it became an eighteen-month prison stint with impossibly high diplomatic stakes. While in prison, Rezaian had tireless advocates working on his behalf. His brother lobbied political heavyweights including John Kerry and Barack Obama and started a social media campaign--#FreeJason--while Jason's wife navigated the red tape of the Iranian security apparatus, all while the courts used Rezaian as a bargaining chip in negotiations for the Iran nuclear deal. 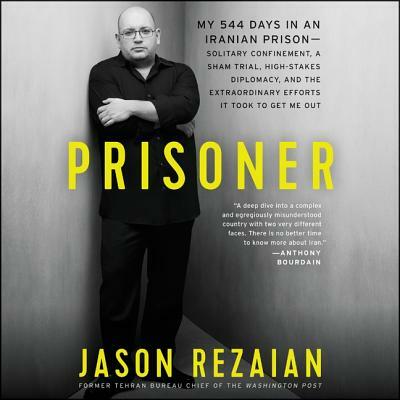 In Prisoner, Rezaian writes of his exhausting interrogations and farcical trial. He also reflects on his idyllic childhood in Northern California and his bond with his Iranian father, a rug merchant; how his teacher Christopher Hitchens inspired him to pursue journalism; and his life-changing decision to move to Tehran, where his career took off and he met his wife. Written with wit, humor, and grace, Prisoner brings to life a fascinating, maddening culture in all its complexity.